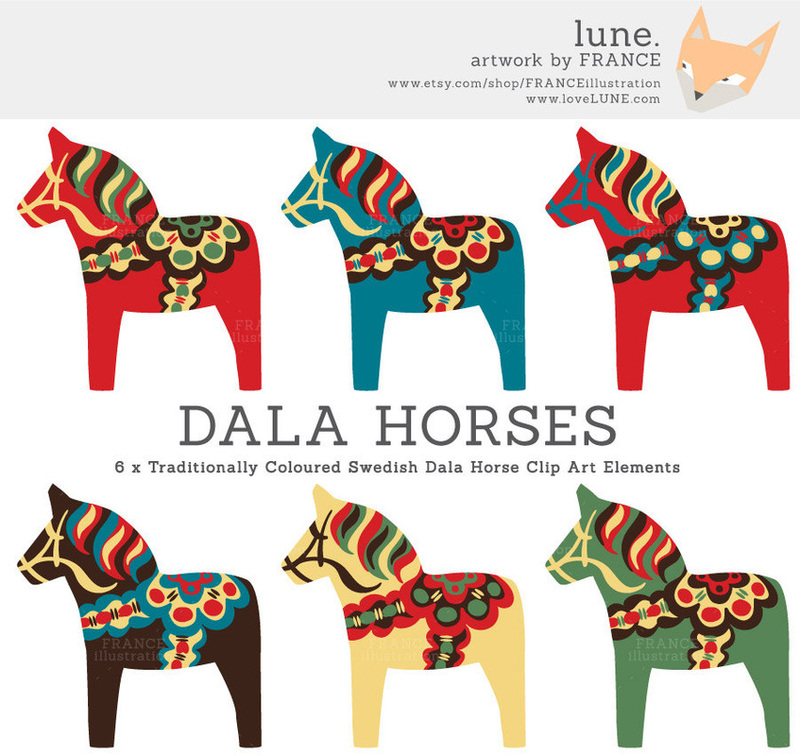 These bright happy little Dala Horses are coloured in traditional Scandinavian folk art primary colours. 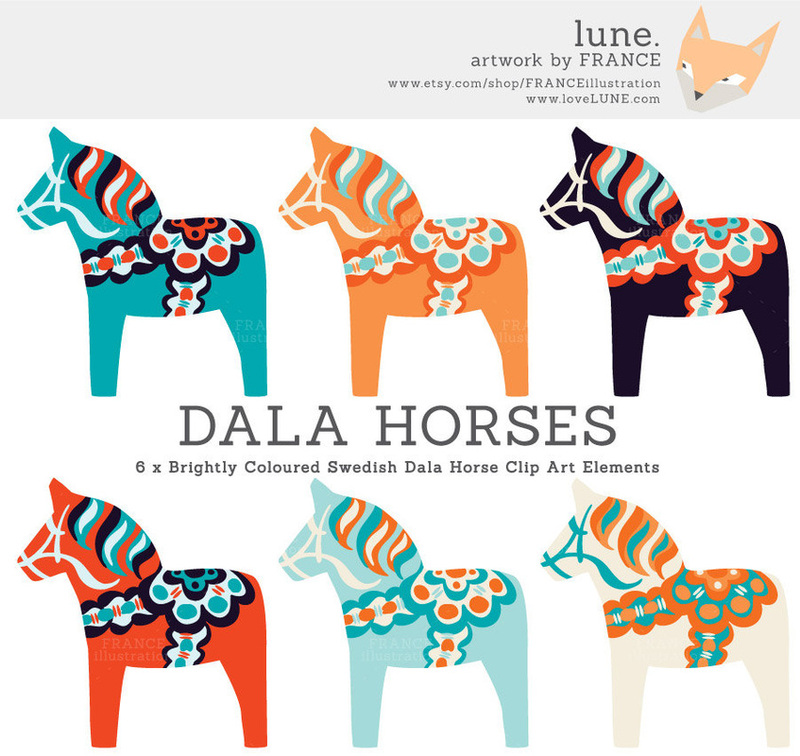 These happy little Dala Horses are coloured in a selection of juicy bright pop-art colours. 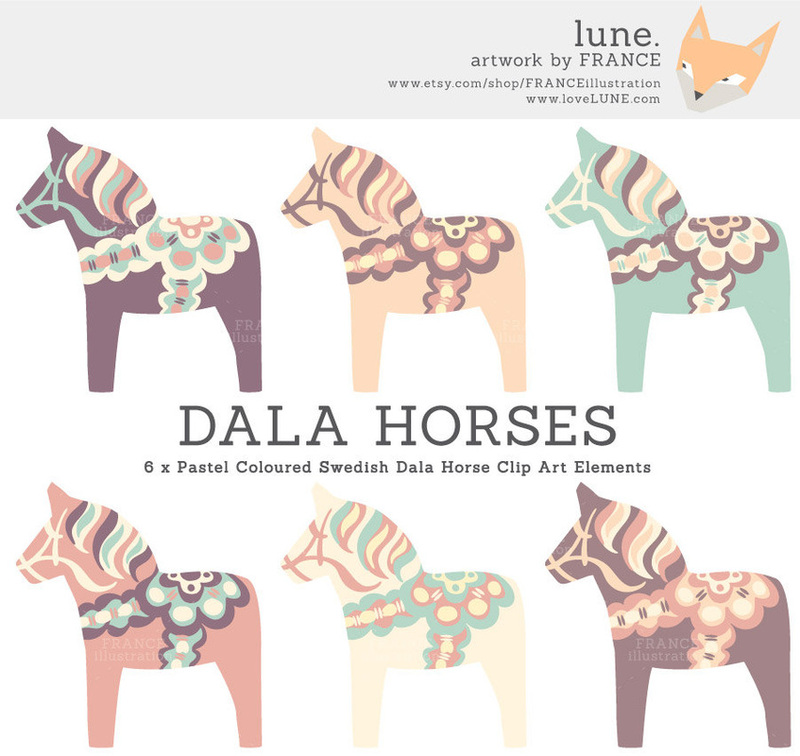 These cute, pastel coloured Dala Horses are drawn in a whimsical Scandinavian style. Perfect for party invitations and scrapbooking. "Easy. Cute. Colorful. Instant happiness." - Chris Bond, 10 July, 2014. "Big Five Star*****! Love all the clip art." - Kathy Barwick, 12 May, 2014. "Thanks for such cute illustrations. I downloaded them immediately." - comethalley, 8 May, 2014. "Excellent quality! Perfect and clean design :) Thank you!" - fluffss, 7 May, 2014. "Beautiful clip art, can't wait to use it!" - Vanessa Simon, 26 March, 2014.